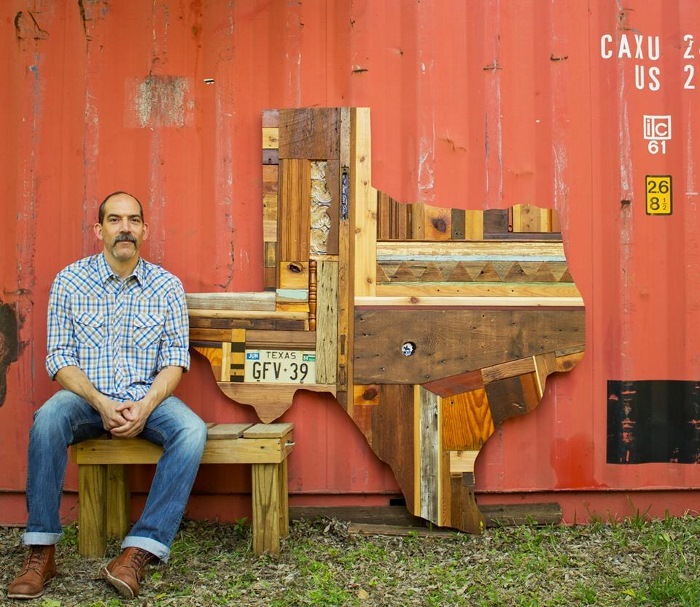 Salvaged wood artist Brian Phillips has more than 20 years of experience making art and has been a full time artist since 2010. He’s primarily a self-taught artist; outside of high school art classes and some continuing education courses, trial and error has been his method. When he finds the wood/objects he salvages, he tries to see the beauty in the blemishes, mistakes and years of use and abuse. It all has a story, good or bad. He’s always been drawn to layers and layers of paint drips, scrapes, nail holes and repurposed items. Check out this blog post from Moniker Guitars – it shows Brian’s process for the custom painted guitar he did for them. An opening reception for Phillips will be held at Dorcol Distilling, 1902 S. Flores Street, on Saturday, April 11 from 7-11 pm. 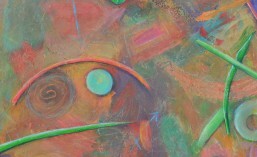 This entry was posted in Art Events, Opening Events. Bookmark the permalink.